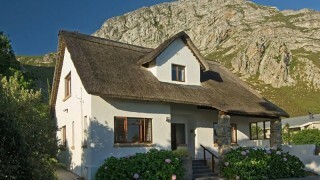 Hermanus is famous for being inhabited by Southern Right Whales every year between June and December. 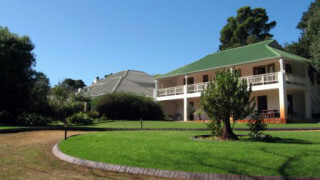 This friendly and quaint town is situated about 120km (one and a half hour drive) from Cape Town, South Africa and is easily accessible by car, private courier and taxi from Cape Town. If you are feeling really adventurous you can even cycle (scenic cycle races are common in these parts) or walk there from Cape Town. On every visit to South Africa whale watching is a must see. 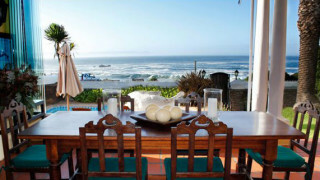 Once you have experienced whale watching in Hermanus, you will always find your way back. Hermanus becomes a hive of activity with hustle and bustle every year during the last week of September, which is the official Whale Festival week. 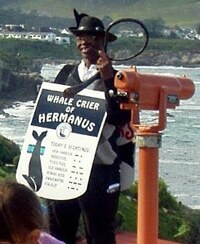 If you happen to be here during the whale season, there is one character you are bound to meet: The famous Whale Crier. He carries a horn made from kelp (sea weed) and has made it his job to befriend and seek out the whales. He can always tell you where last the whales were seen and he’ll be first to see them again! We are continuously updating this website. 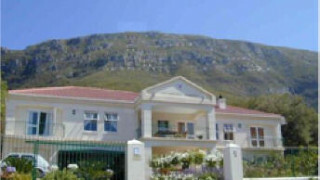 Visit again soon and you’ll learn even more about this wonderful town.